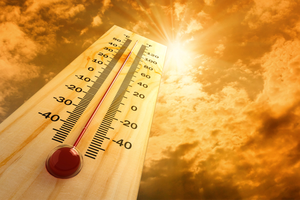 Extreme Heat: Staying Safe and Healthy |The Benefits Store, Inc. Wear light clothing – Wear clothing that’s lightweight and loose-fitting to give your body a chance to breathe. Stay indoors – When it’s particularly hot out, make sure to stay indoors where it’s air-conditioned. If you’re outside and you begin feeling unwell because of how hot it is, duck into a place that has AC, such as a nearby store. Don’t leave anyone in the car – The car can get incredibly hot inside when the air conditioning’s turned off. Do not leave pets, kids, or older adults in the car, even if you’re only leaving temporarily. Stay hydrated – Drink lots of water. Your body needs water to keep itself cool and to prevent overheating. Check daily weather forecasts – You can avoid extreme heat by regularly checking local weather forecasts. Limit the activities you do outside to times it won’t be as hot, such as mornings or in the evenings. If you or someone you’re with suffers from a stroke as a result of the heat, call 911 immediately and move him/her to a cool place. Do not him/her anything to drink. Use cool, moist cloths to try to lower their temperature. If they have symptoms of heat exhaustion (heavy sweating, fast/weak pulse, dizziness, and/or nausea), move them to a cool place and help him/her sip water. Get medical help if he or she vomits or faints. Keep these tips in mind in case of extreme heat this summer and visit us at The Benefits Store today for more summer safety tips!